‘Shark Tank’ host Daymond John on entrepreneurship and the ‘Miller Lite Tap the Future’ contest. 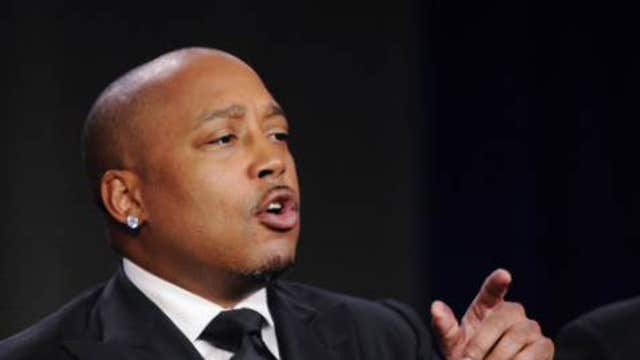 TV personality and investor Daymond John admits he has come a long way since founding FUBU, his first company, more than 27 years ago by mortgaging his own home for $100,000. “I blew so much money in my first couple of years that I am thankful that I was able to recoup what I had done,” John tells FOX Business. While John, who still owns and runs FUBU, a hip-hop apparel company worth an estimated $6 billion, along with a slew of other companies through "Shark Tank," still has early business regrets. The 49-year-old investor points to statistics related to lottery winners as a case in point. John, who is set to turn 50 this year, is also on a mission to get more entrepreneurs to think of new solutions for the older population instead of focusing on the key demo of 18-35 years of age. This year at the Consumer Electronic Show, he teamed with AARP to inspire inventors to think of new solutions aimed at that demographic. “It’s a very valuable market and people just don’t realize how powerful that age group really is,” he says. According to AARP statistics, by 2030 nearly 132 million Americans age 50 and older are expected to collectively spend upwards of $84 billion a year on technology products. And, contrary to popular belief, more than 55 million Americans in that age group are interested in new technologies that can enrich their lives or make their lives easier, AARP President Jo Ann Jenkins told FOX Business. “The 40-and-up age group is the real reason &apos;Shark Tank&apos; is still around. They are constantly educating themselves about [new inventions],” John says.